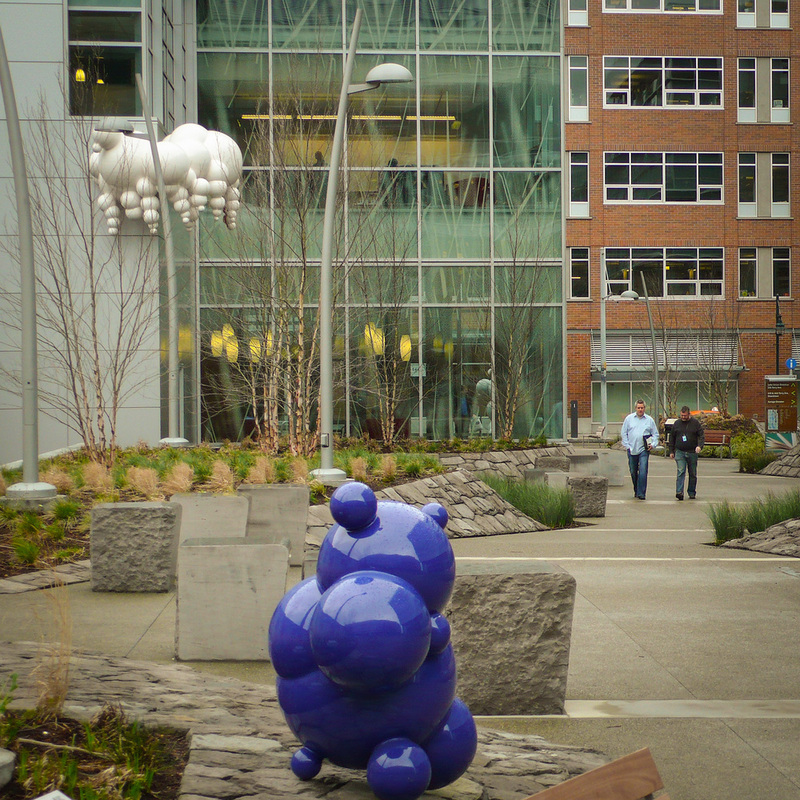 Jamie Walker's three sculptures are clusters of spheres that suggest mountains, clouds and animals. 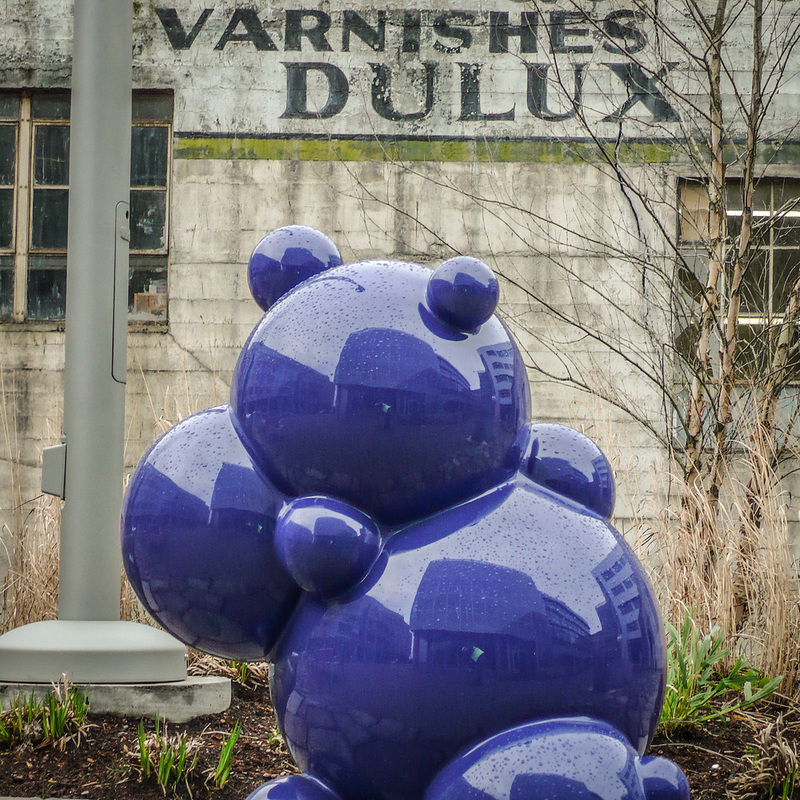 Installed at the entry to the facilty on Terry Avenue, Beacon acts as a landmark marking the entrance to the building complex and leading pedestrians into the plaza. Rising dramatically from the ground, the sculpture's large scale and raw surface hint at the geologic forces that form mountains. Cloud hangs on the northeast corner of the south building, looming ominously, but in contrast, hinting at its real playful nature by casting a surprising pink halo against the building's facade on the occasional bright, sunny day. In the middle of the courtyard, Toto sits patiently on the edge of a landscape island, waiting for someone to play with.